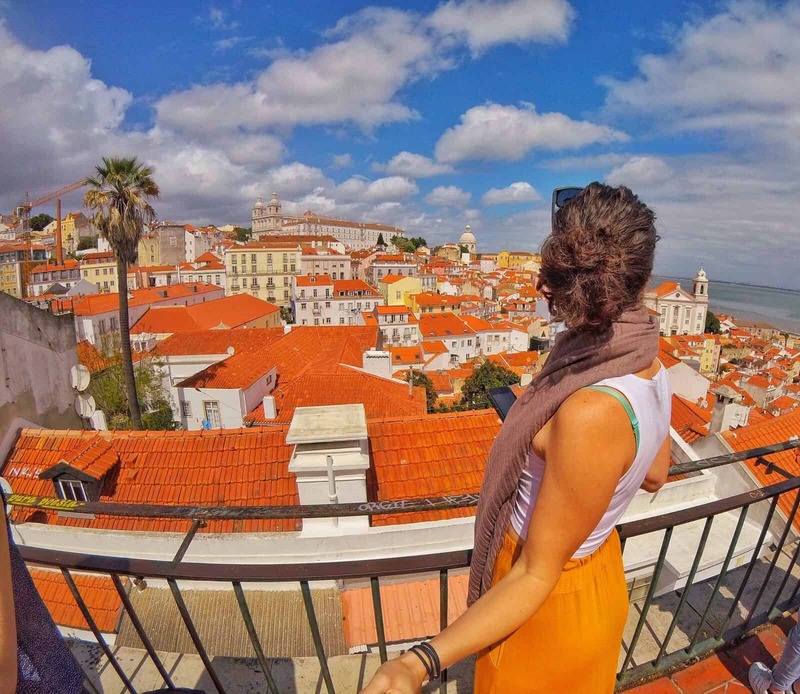 Europe's Most Epic Viewpoints That'll Make You Buy A Plane Ticket | Where in the World is Nina? It slaps a smile on my face and gives me a rush! Viewpoints are my favorite thing to do when I travel. Most places around the world have them and I find them to be an epic welcome to the area I’m in. The world has an infinite amount of viewpoints and I hope to explore many more of them! 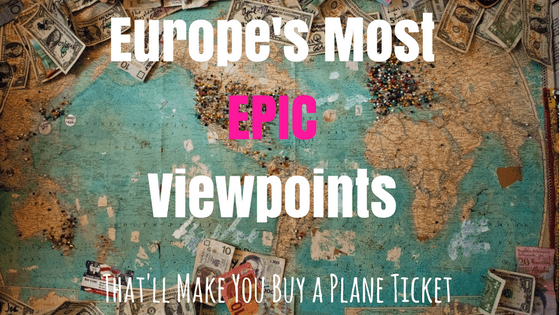 Here are some of Europe’s viewpoints that will surely make you want to hop on a plane and visit! Hallstatt, Austria is the definition of a European fairytale. The quaint village sits among the alpine mountains beside the western shore of Hallstättersee (Hallstatt Lake). 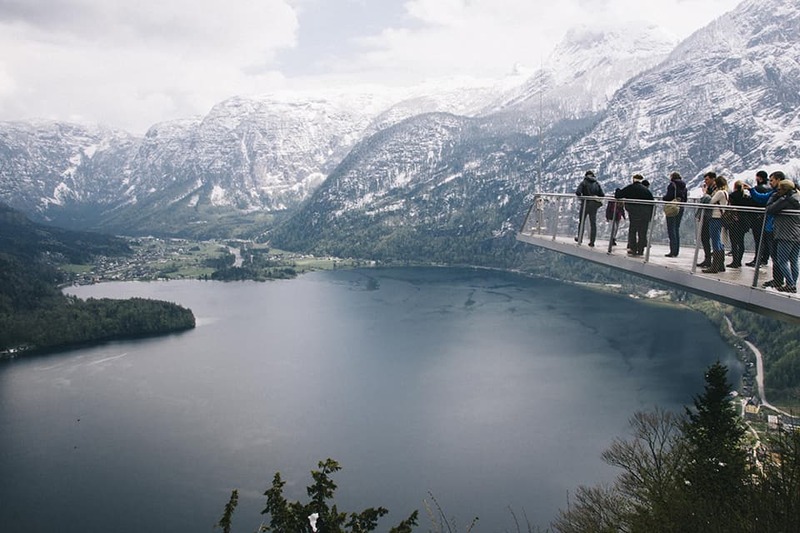 To really appreciate this secluded gem you have to go to the top of Hallstatt, to the “Welterbeblick” or Skywalk. From here you’ll get a World Heritage View of the vast lake, snowy mountains, and adorable village. Getting there is quite simple if you have a car or are on a tour. It’s about a 1.5-hour drive from Salzburg. When you get there you can park your car in one of the parking lots and then choose to either take the funicular railway car or hike on foot up to the top. The hike up is pretty steep so if you’re not up for a slight workout I suggest taking the railway car. For adults, the railway car is 16 euros round trip or 9 euros one way. 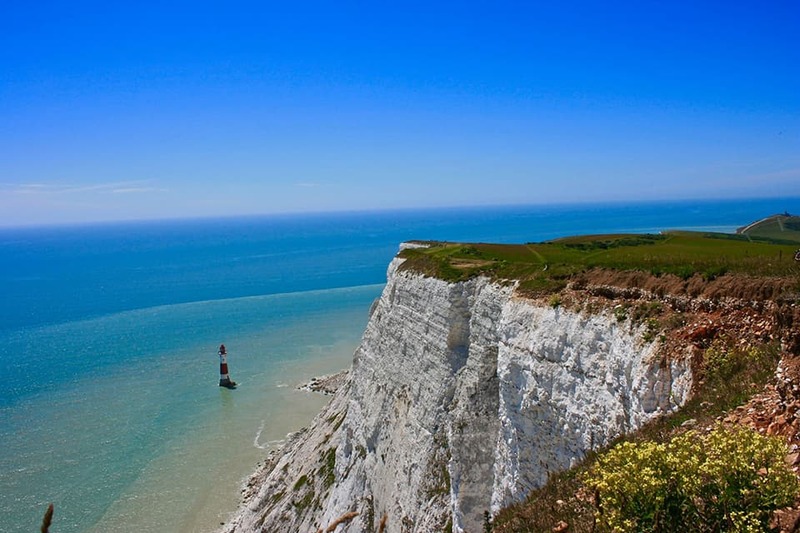 A length of white chalk cliffs, east of the Seven Sisters park and within view of the town of Eastbourne. These cliffs contrasted against the most tropical of looking seas is somewhere not to be missed on your next trip down to Brighton. While Brighton city center draws people for its iconic Pier and the flashy new I 360 viewing point, if you head about 45 minutes away from the town you’ll be gifted with coastal views that will have you questioning whether you’re even still in England. There is a car park and a pub at the top for those just wanting a quick photo op, but for those wanting to take on the trails there are many available to you, either going back towards The Seven Sisters county park or down towards the town of Eastbourne. When looking westward, you’re able to see a gorgeous lighthouse constructed in 1830 to assist sailors in avoiding the headland. 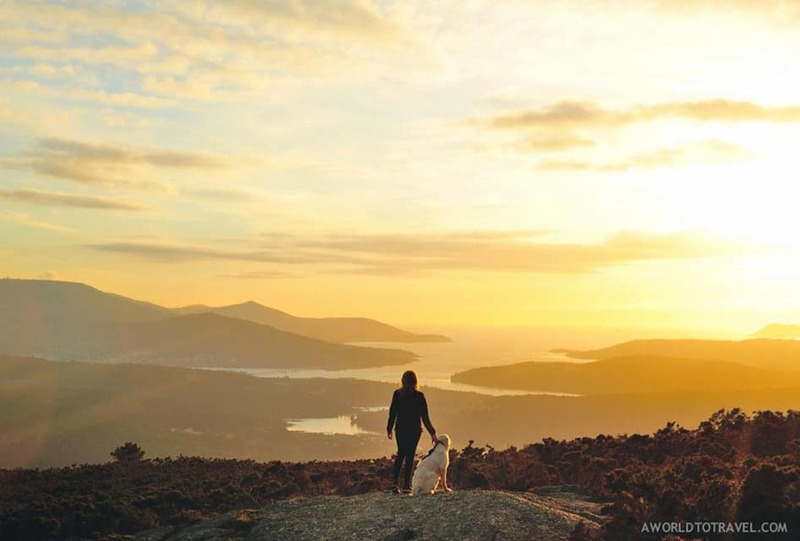 I have extensively talked about how stunning it is my homeland, Galicia. So much that I spend all my down time (when I am not traveling) here, and never get tired of it. I mean, would you? This is a snapshot of Noia and its estuary from Pedra Serpal, a viewpoint on top of a hill only accessible by a 4 wheeler or, in my case, on foot. Rufo, our dog, and Jose usually tag themselves along and this barely 30min trek uphill makes it for the perfect spot to check sunset. Once up there, your chances of enjoying this place on your own are quite high, as it happens with many of the gorgeous beaches on both sides of the estuary. I could not be based anywhere else. 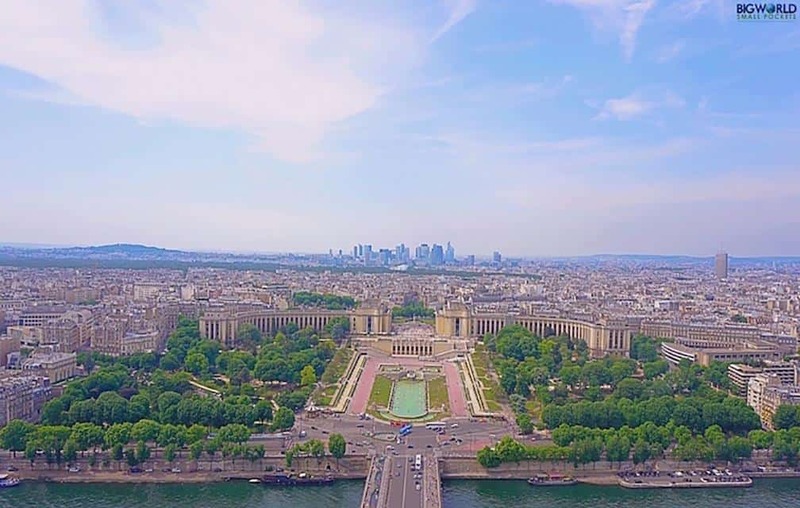 Surely one of Paris’ most famous viewpoints, scaling the Eiffel Tower is understandably a rite of passage for many travellers when they visit this iconic city. Taken from the second floor, rather than the very top (because I got too much vertigo to go any higher – seriously it’s pretty terrifying! ), this view takes in Paris’ Trocadéro, a popular summer hang out with its lovely gardens and cooling fountains. Tickets to climb the Eiffel Tower cost only 11 euros, but need to be booked at least a month in advance of your trip. The cheapest and best way to do this is online and doing so also means you can jump many of the long queues on the day. If you think you’re not afraid of heights, then I challenge you to get to the top of the Tower – the glass lifts and fast disappearing ground beneath you really is quite the test of nerves! 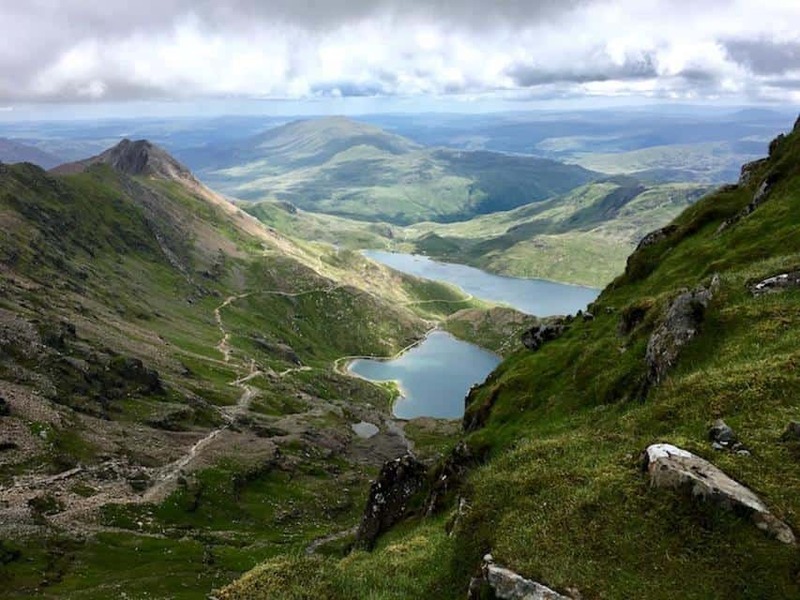 At 1085m high, Mt Snowdon is the tallest mountain in Wales, UK. And best of all, virtually anyone can ascend to the top. There’s 6 different routes that you can take, with the ascent generally taking around 3 hours (and another 3 hours back down). The easier trails are doable by anyone with moderate fitness, including families (and dogs, in my case). Alternatively, you can also take a train all the way to the top – yes, a train! And there’s even a cafe at the summit serving hot food and coffee. Just be warned – often the view from the top is obscured by clouds. This photo was actually taken just before we reached the summit and lost our views of the way we had just ascended. Pico Ruivo is the highest peak on the Madeira Islands. It can be reached by foot, but the hike itself can be quite challenging. Although the path is clear and the hike is moderate, you need plenty of water and a lot of sunscreen as there is no shade on the trail. You can see why this hike is best done in the morning. 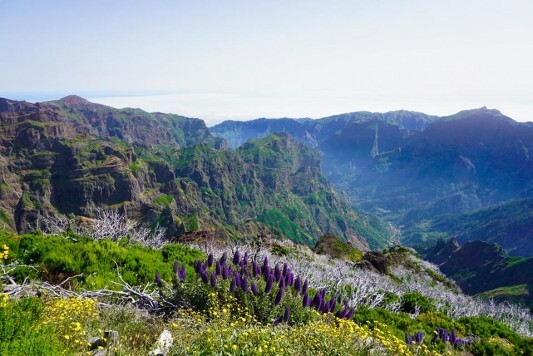 The hike will lead you to the very top, where you can enjoy fantastic views of the Madeira Islands. Your views can stretch as far as the Atlantic Ocean and lush vegetation predominant on the island itself, reveals itself as a standing emerald from the waters. The islands are almost always covered in cloud, which gives a mysterious air to the surroundings. It’s like being on top of the world. 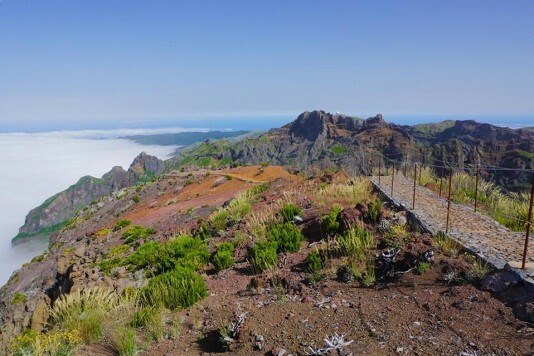 Not quite there, but you are, on top of the Madeira Islands. 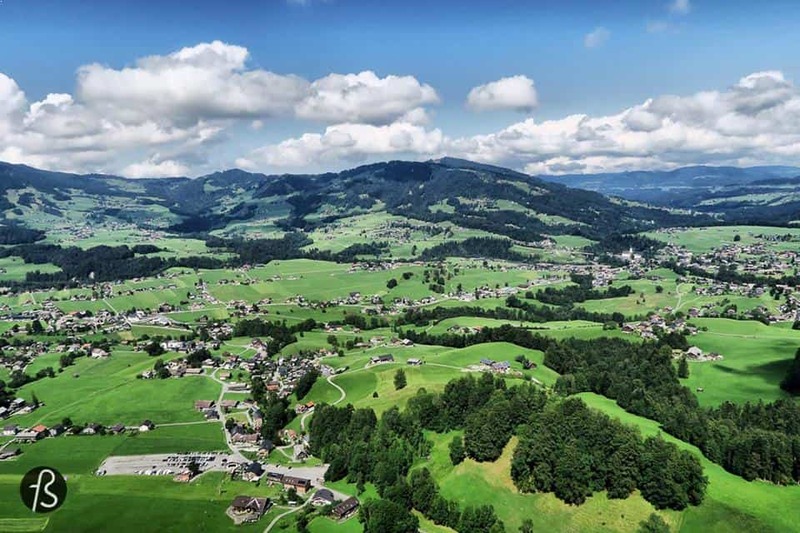 Vorarlberg is the region in Austria closest to Switzerland and Lichtenstein. And because of its location, the higher you go into their amazing mountains, the more countries you can see. Especially if you are into paragliding like I am. Once you get to Bregenzerwald’s paragliding school, a 50 minutes (or more) cable car trip to the top of the Alps starts. And over those endless minutes I swear to all the gods out there that you feel all the emotions available in this life: fear, excitement, euphoria, thrill, doubt and self-doubt, happiness and much more will be by your side the whole time, but once you’re in the air, only joy and satisfaction will be together with you. From up there, you can see Austria, Germany, Lichtenstein, and Switzerland. And it is not every day you can see 4 countries from one viewpoint, right? Pretty special this place. 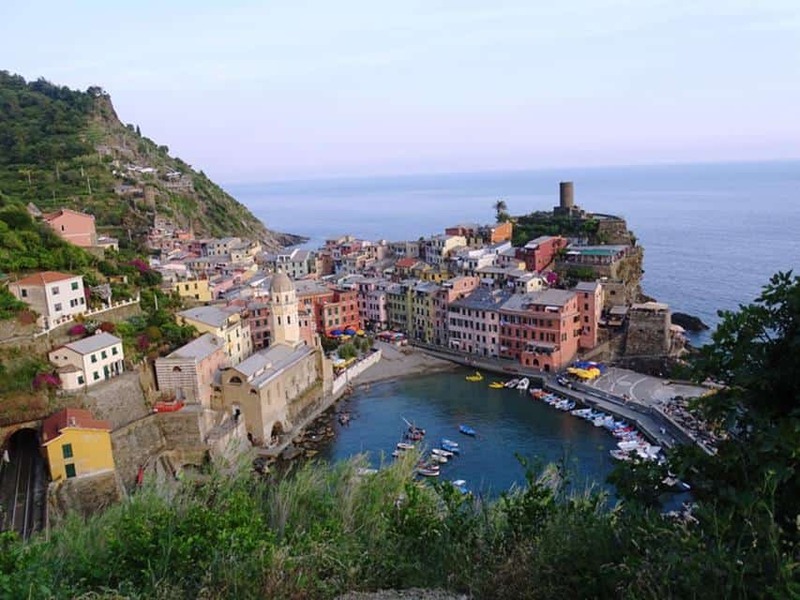 Vernazza, a small fishing village on the Italian Riviera, along with Manarola, Monterosso al Mare, Riomaggiore, and Corniglia make Cinque Terre.These 5 colorful villages perched on a cliff overlooking the Mediterranean Sea are a popular holiday destination for hikers and not only. During my stay in Vernazza, I took the hiking path towards Monterosso and 10 minutes later I found myself mesmerized by the view of Vernazza from above. It is better to take this walk in the afternoon during the summer months so that you have the sun at the back and take a perfect photo. It was a similar photo of Vernazza that made me fall in love with the villages of Cinque Terre and at the end made me book a trip there. Sardinia in Italy is characterised by its granite rock formations along the coast. 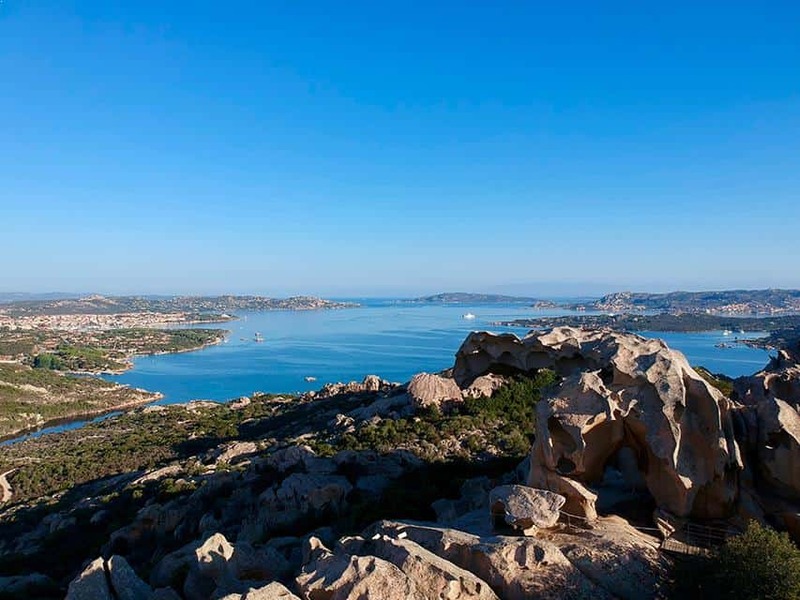 One of the most famous ones is Capo d’Orso, a huge bear shaped rock. This overlooks not only the nearby town of Palau, but the whole Arcipelago della Maddalena, seeing as far as Corsica on clear days. It’s a 10-minute drive from Palau to get to the base of Capo d’Orso, where you then park the car and hike up another 15 minutes to get to the bear shaped rock. For the more athletic people out there you can hike all the way from Palau, but it will take you a good hour at least, and I would only do it either early morning or in the evening (it gets very hot during the day)! Standing under the huge granite formation, while looking over the islands is a pretty magical experience. Albania is a hidden gem in Europe. Often misunderstood, this country hides a lot of history, beauty and culture just waiting for you to explore. This particular view is from the Lëkurësi Castle in Sarandë, one of the best views in Southern Albania looking out of the Riveria. This picture just proves that this country has an abundance of great sights and landscapes. 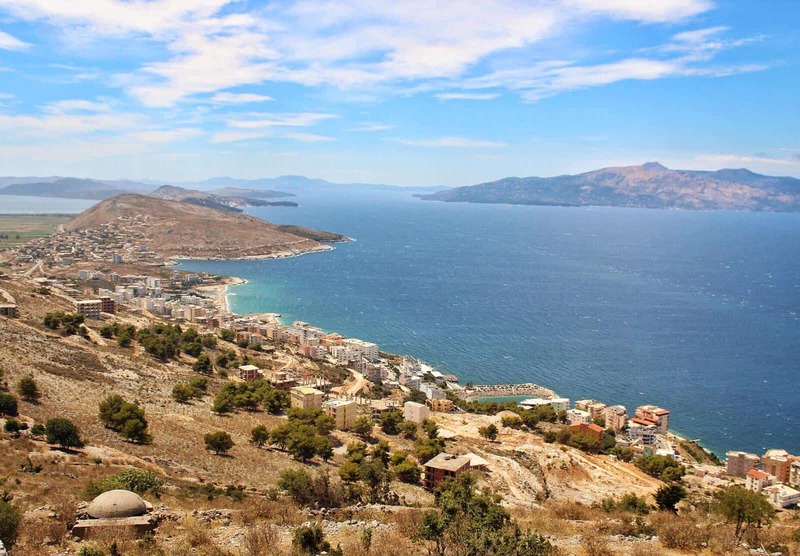 Along the coast of Albania are incredible beaches and coves which can be seen from this picture. The viewpoints are a real highlight here. If you take the coastal drive from Sarandё to Himarё you will be rewarded with even more breath-taking viewpoints! 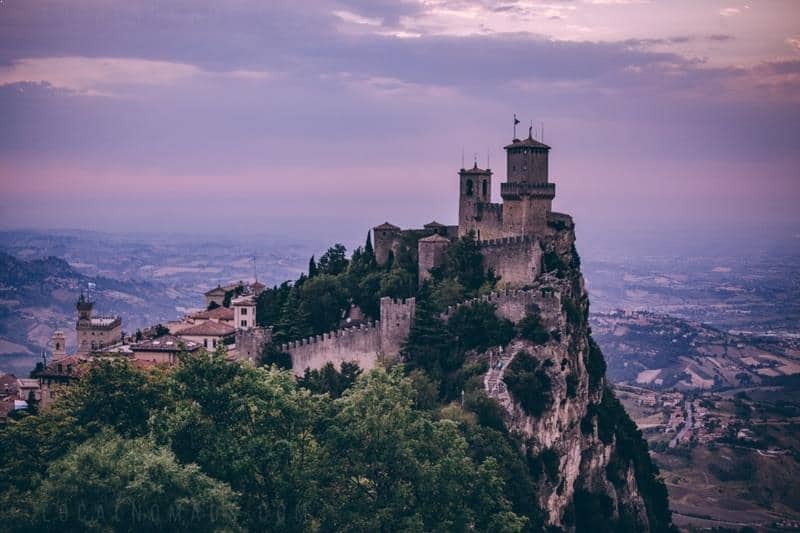 San Marino is the Oldest Republic in the world. This medieval city sits on top of a mountain surrounded by low foothills. The city is famous for its 3 towers that can be seen lit up at night on top of the mountain. They were once used to watch for invasions, but now they provide an incredible panoramic view of all 61 km² of the Republic. You can even see out to the coast of Rimini. Sunset is absolutely an ideal time to find yourself at the second tower, the highest point on the mountain, but if you want a moment all to yourself, get up at the crack of dawn and see the sun rise out of the Adriatic Sea. This view from the second tower looks back at the first, the fortress of Guaita. There is plenty to explore in this fortress city, there’s even a secret rock climbing spot! What do you think of when I say Bosnia and Herzegovina? Bombs, tunnels and turmoil? That’s still evident but the country is so much more than the bullet holes on the buildings and one of the coolest things to do in BiH’s capital is to visit Sarajevo’s Olympic bobsled track via tour or foot. 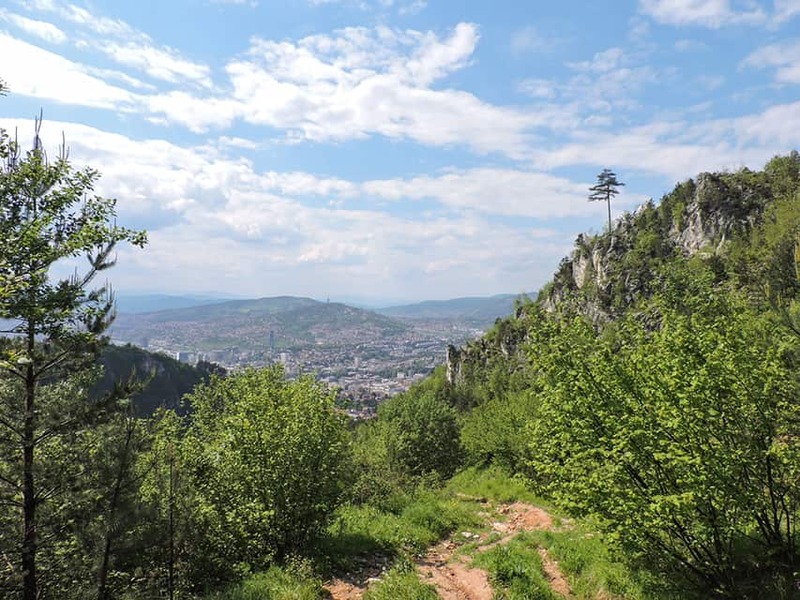 Those looking to trek will hike up Mount Trebevic and the old bobsleigh route/now graffiti park is not the only treat you’ll get, the views of the city are lush too! Andorra is a small country relatively close to Barcelona, and it’s an amazing destination for all those who like hiking. 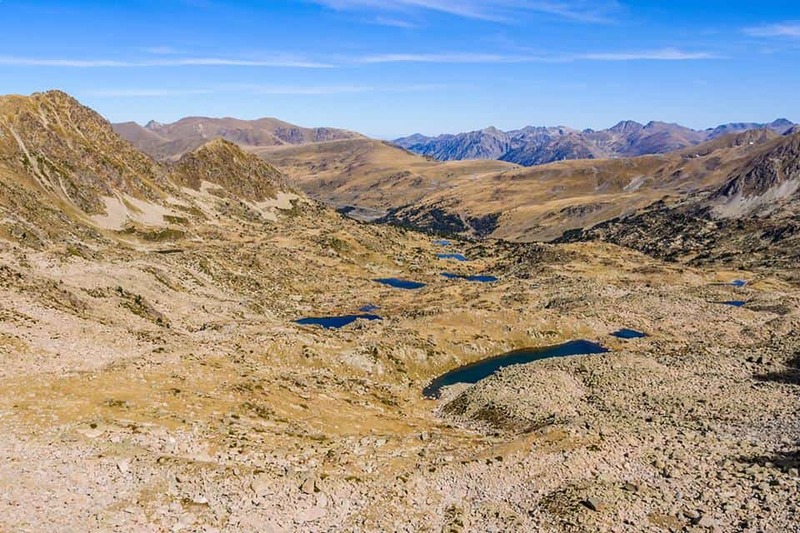 There are an infinite variety of trails in Andorra, one of the most accessible of them being the hike around the Pessons lakes. After leaving your car in the parking area and hiking for around 3 hours (the elevation gain is around 800 m, but it does not represent any difficulty) you arrive at the Collado de Pessons (Pessons Mountain Pass) from where you will have one of the most amazing views of the whole Pyrenees. You can see the panoramic view of all the Pessons Lakes, while you will feel really small there. At 74.5 metres (244 ft) high, Hallgrímskirkja is the largest church in Iceland and one of the tallest structures in all of Iceland. The church took 41 years to build and is named after the Icelandic poet Hallgrímur Pétursson. The church sits in the center of Reykjavík and is the cities main landmark. 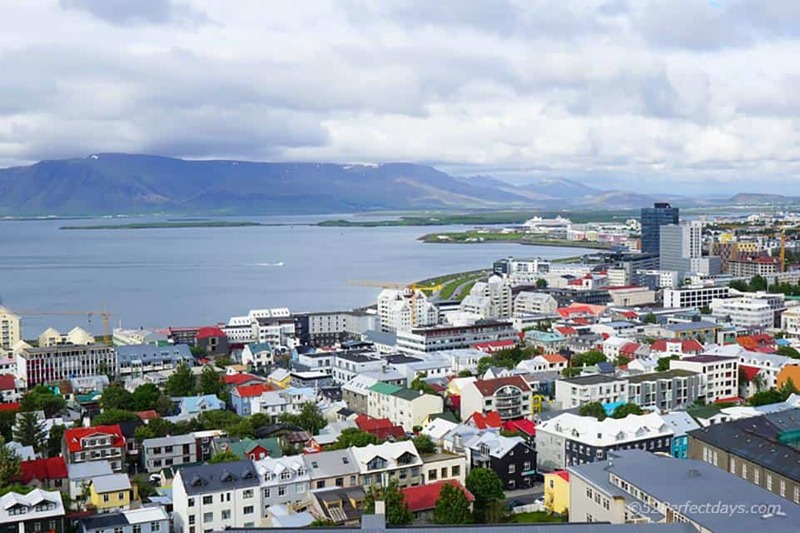 From the observation tower you can find one of the best viewpoints of the city with an amazing 360° view over all Reykjavík, the mountains and the ocean stretching west to Greenland. There’s something truly magical about hiking on the Isle of Skye to get to the viewpoint of the Old Man of Storr. 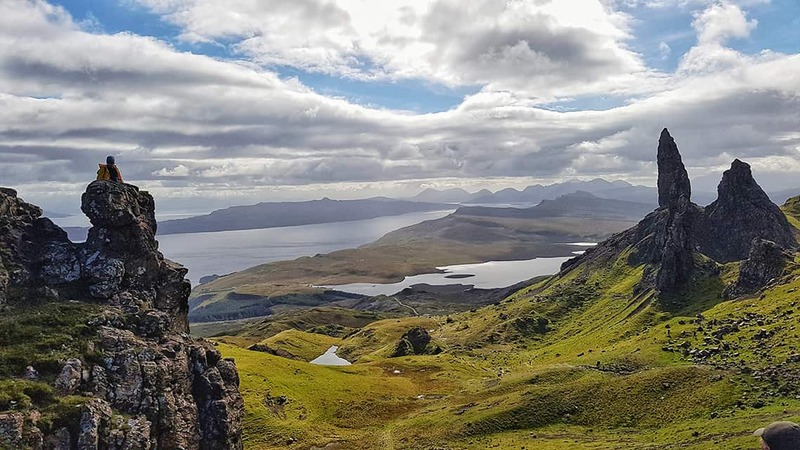 About 10 miles north of Portree, the “capital” of the Scottish island, the hike takes about an hour to get to the viewpoint, considering you keep a good pace. Unfortunately, on the Isle of Skye, there’s a good chance the Storr will be bathed in impenetrable clouds and high winds, making hiking difficult (it didn’t stop me). If you do go there on a clear day, you’ll get one of the most spectacular views in the world. There’s something about the Isle of Skye which makes you feel like you’ve left Earth and entered the land of the Fairies. There are many more hikes around the island, but the Storr is my personal favorite. Bring some water and a good pair of hiking boots, and enjoy! Budapest is my favorite city in Europe and it’s definitely one of the most photogenic ones. Budapest is actually split in half, there is Buda on side of the Danube River and Pest on the other side. Some of my favorite views of Budapest are up at the Fishermans Bastion on Castle Hill. 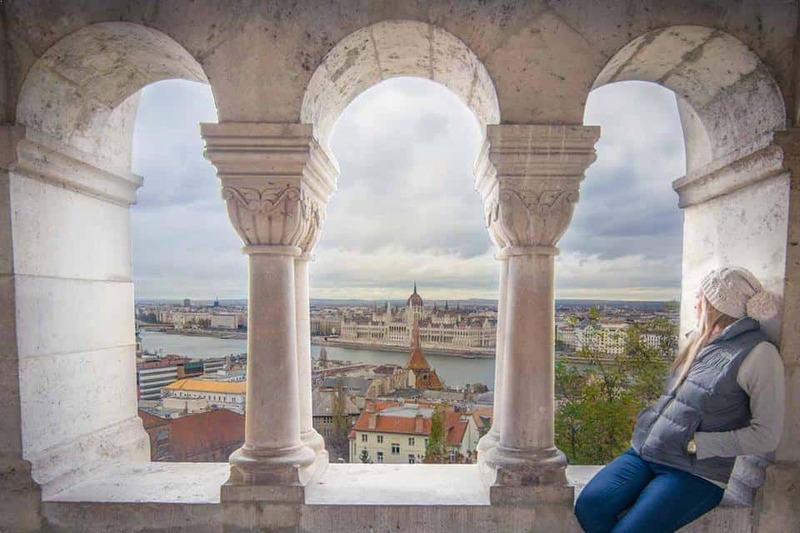 Fishermans Bastion is over 100 years old and from here you can get panoramic views of Budapest. I highly suggest going early in the morning or staying up there for sunset. It is a popular spot so you might have to be patient to get the perfect IG shot. There are several other Budapest attractions nearby to visit like Castle Hill and Matthias Church. You can easily walk to up from Pest side to the Fisherman Bastion which is on the Buda side of the Danube River. There is also a funicular from the chain bridge or the bus. We typically walk one way and take some sort of transportation the other way. Near the tiny town of Mojstrana, Slovenia, there is an unmarked trailhead leading into the woods of Triglav National Park. There are very few signs, the trail plods uphill at an increasingly painful rate for hours, and at one point, you cut through a fence or two to pass through a rural homestead. The destination of the trail? A peak called Sleme. I’m sorry to say that we didn’t reach it because–and you can’t make this up–a herd of less-than-friendly cows (not located at the aforementioned homestead) cut off our access to the trail after hours of hiking, and there was no way around them. 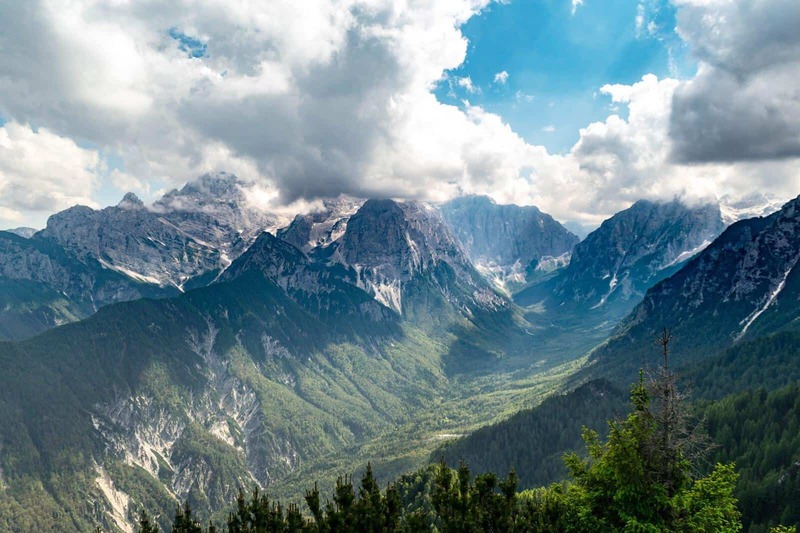 That didn’t matter, in the end, though, because we still got to witness one of the most incredible views I have ever seen on while this trail: an overlook of Vrata Valley in Triglav National Park. While we would eventually like to see Sleme (that viewpoint is said to be even more incredible), there is no doubt that staring out over Vrata Valley was more than enough reward for us to feel that the difficult hike of the day was worth it. Switzerland is the country for epic viewpoints: with all the amazing mountains and the mountain views it is hard to choose the best view. However, I have chosen the view point from St. Beatus Caves in the region of Interlaken. 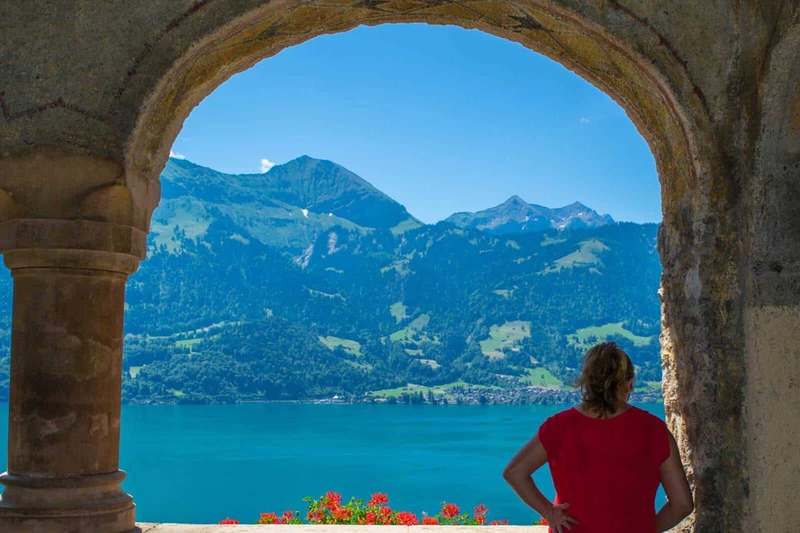 It is a lesser known destination but definitely amazing – you´ll have great views of Lake Thun. While looking at the amazing blueish water you´ll have flowers all around that make St. Beatus Caves a great place. If you can´t get enough of the view (which is totally understandable) you can grab a drink or have a snack at the restaurant and enjoy the views. And the best: It is so easy to get there. 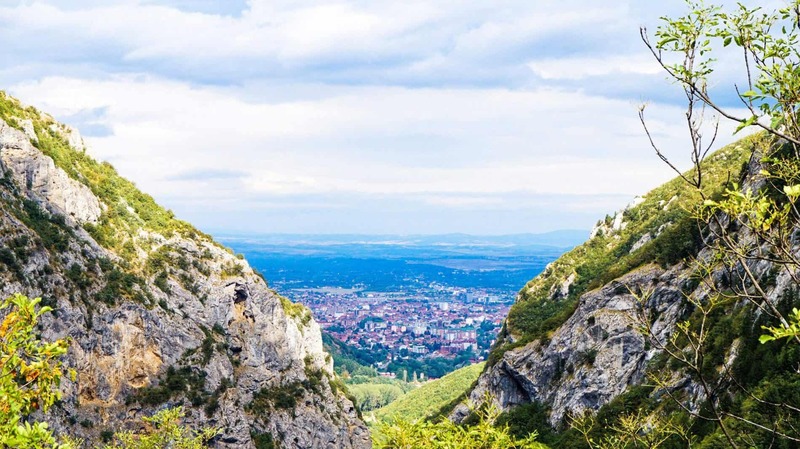 Just drive to St. Beatus Caves and park there, or take the bus which stops in front of the caves and then it just takes a 5-10 minutes hike up – and you be quickly will be rewarded with an awesome view. 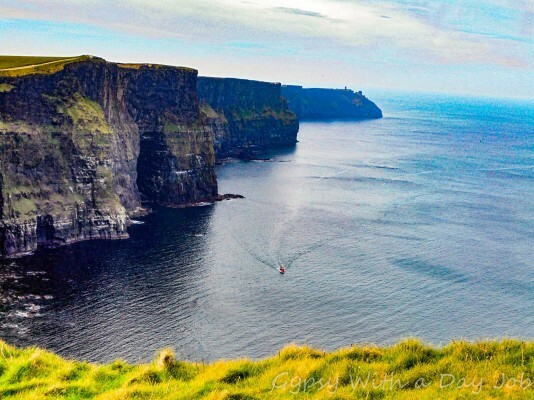 The Cliffs of Moher are one of Ireland’s most spectacular natural wonders, and tourist attractions. 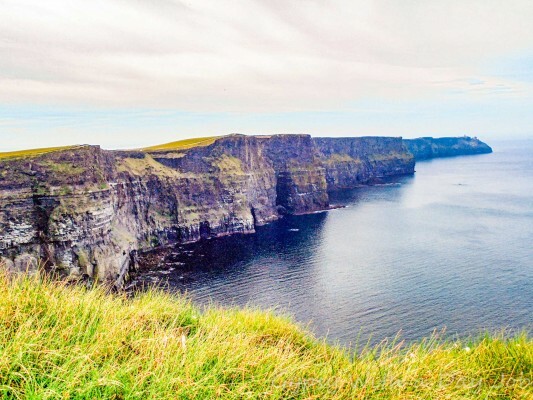 The cliffs are found on the west coast, in County Clare, about midway through the Wild Atlantic Way touring route, in what is known as Burren country. After leaving the visitor’s center, and climbing the hill, this is the first breathtaking glimpse. The tiny touring boat below, gives perspective to the size and grandeur. At the highest point, is O’Briens Tower, built in 1835. Even then, visitors flocked to this location, to experience the view. Walking trails skirt the edge, providing a multitude of perspectives to the sea, the sky, the ever eroding stone. People come from around the world to see the cliffs, by land and by sea. Cruises can be booked from nearby towns of Doolin and Liscannor. Even on an overcast and windy day, it was stunning, from above, and below. If you are like me, vivid photography inspires immediate wanderlust that can only be satisfied by seeing the location in person. I remember drooling over pictures of the infamous hills of Santorini, Greece, covered with pure white churches topped with brilliant blue domes cascading into the turquoise waters below. I dreamed of experiencing this glorious island in person for years. I was finally able to travel there this past October, and believe me it did not disappoint. Around every corner, you find another reason to pull out your camera and snap yet another perfect snapshot. 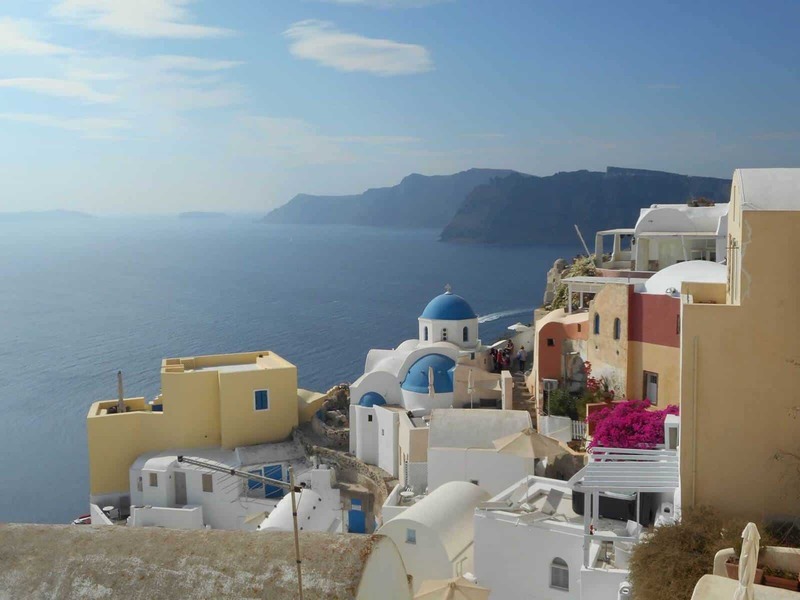 My photos were taken in the gorgeous village of Oia located on the northwest corner of the crescent-shaped island. This village holds many of the famous churches known for their cerulean crown and is the most photographed location in Santorini. If you love this view, take the leap and book that flight you have been dreaming of. You will not regret a visit to Santorini. The Jennerbahn cable car takes visitors up to 5,912 ft (1,802 m), the highest point in the absolutely stunning Berchtesgaden National Park in Germany. 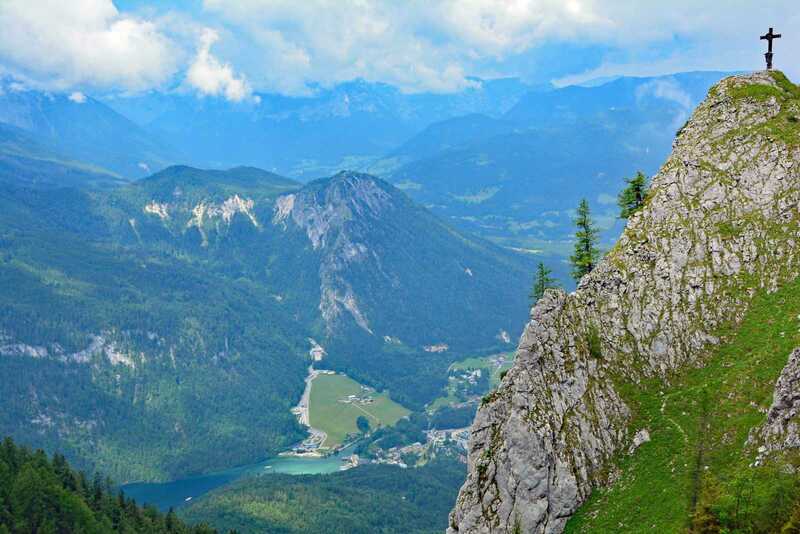 Enjoy gorgeous views of Lake Königssee, Germany’s deepest and cleanest lake, and take in the astounding beauty of the surrounding Bavarian Alps. If you’re feeling extra adventurous, you can hike up to this viewpoint, or like us, you can take the cable car up and hike down. The other, and easiest, option is to simply take the 2-person gondola up and back down the mountain. Though, no matter how you get to this point, we guarantee you won’t be disappointed with the views! 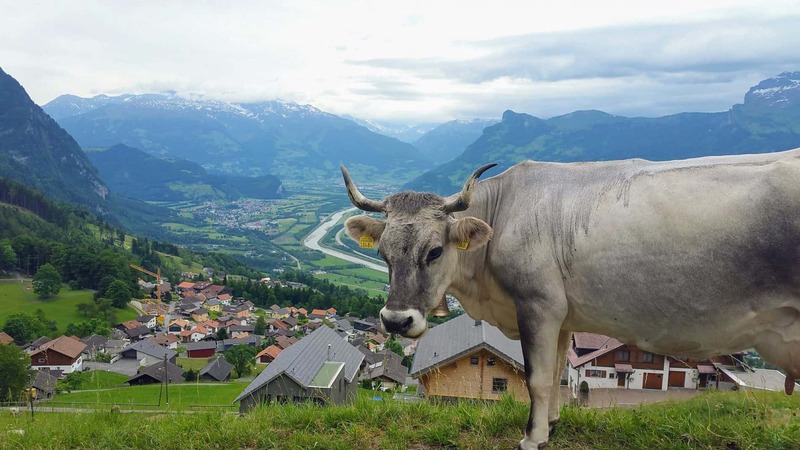 Liechtenstein is one of the smallest countries on this planet: 25km and 12 wide! But at the same time, it is also one of the richest with almost no unemployment. Many travelers visit the principality of Liechtenstein only to tick off another country from their travel bucket-list. However by visiting only its capital, Vaduz, you’ll miss an impressive alpine country with an extended hiking trail network. I spent 3 days in Liechtenstein and my main occupation was hiking all day long. But even after 3 days, I wasn’t able to do all the hiking trails that Liechtenstein has to offer. Some include peaks of 2400m and breath-taking views over the Alps of the surrounding countries like Switzerland, Austria, and even Germany. My favorite viewpoint was in Triesenberg: a glorious view over the Alps and the Rhine valley with the capital Vaduz at its shore. As I was getting prepared to make a photograph of this lush green scenery, a cow decided to photobomb my shot. It quickly became my favorite photo of my trip to Liechtenstein. The most epic view that I’ve seen lately was near Füssen, Germany. 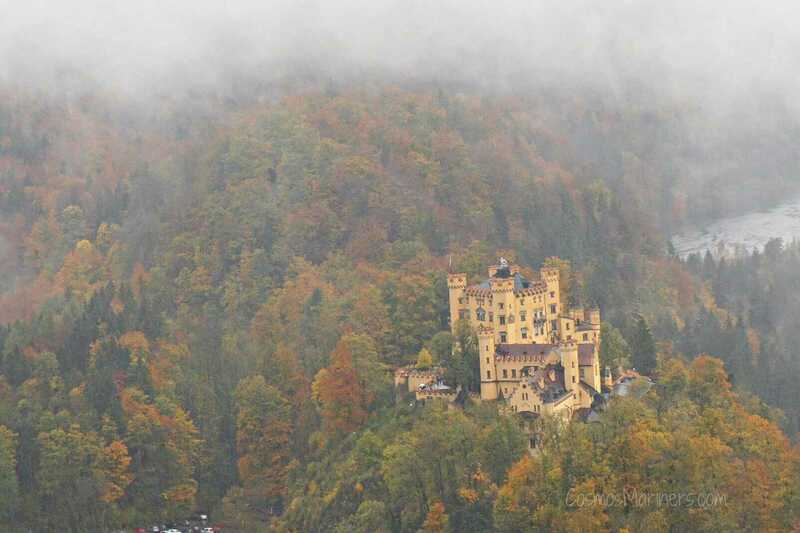 As a part of our visit there, we explored both Hohenschwangau and Neuschwanstein; while most people focus on the iconic Neuschwanstein, I was more interested in the smaller, but no less interesting, Hohenschwangau. As we were walking from Neuschwanstein Castle to the bus pick-up area, I noticed that we could just see Hohenschwangau across the valley through the fog. Just a few moments later, the fog cleared, and I was able to snap this photo. I love the bright yellow of the castle against the colorful autumn leaves! Kriváň is Slovakia’s most beautiful mountain, even though its name is derived from the word for crooked. Having featured prominently in the country’s national history, Kriváň is a symbol of Slovakia, represented on the 1, 2, and 5 euro cent coins. 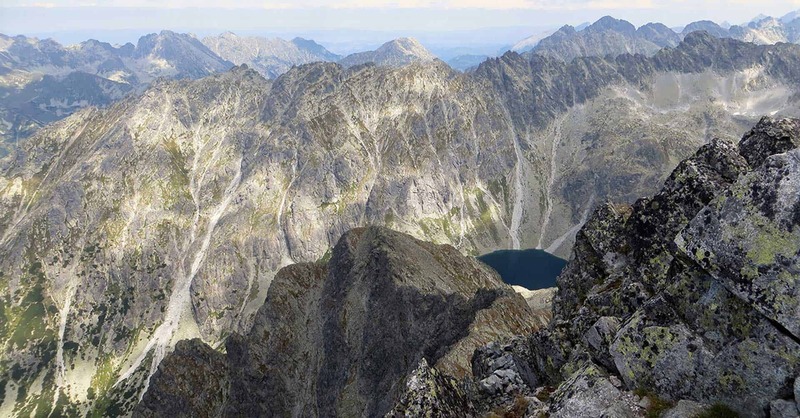 At 2,494 meters, it isn’t the tallest peak you can hike up to in the High Tatra Mountains, but it’s the most popular. Three hiking routes converge just below it for a final steep ascent; at the very end, you have to crawl on boulders to get to the peak. The 3.5-hour trek is well worth it. The Slovak double cross stands at the top, providing an appropriate backdrop for photographs. The 360-degree panorama view from the top is spectacular: nothing but mountains all around (the lake in the photo is Kriváň Green Tarn) and the Tatra Basin in the distance to the south. 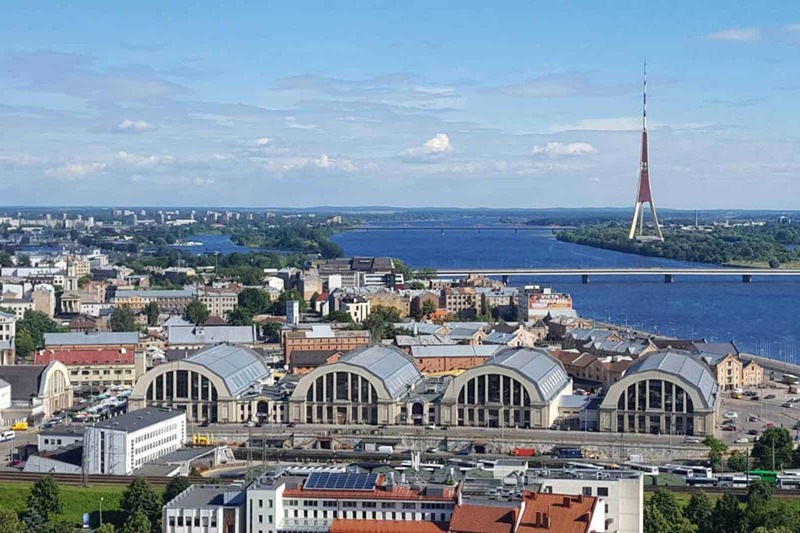 My amazing viewpoint is taken from the viewing platform of St Peter’s Church in Riga, which is the capital of the Baltic country of Latvia in North-East Europe. The Republic of Latvia was originally established in 1918 but it’s life as an independent country was interrupted in World War II. The country was initially occupied by Germany from 1941 and then from 1944 it was part of the Soviet Union. Following the peaceful singing revolution full independence was restored in 1991. Not only is Riga the capital city of Latvia but with 640,000 inhabitants it’s also the biggest city in the Baltic states. It was originally founded in 1201 and has some amazing places to visit. This includes the building of the Brotherhood of the Blackheads, Freedom Monument, a wonderful old town and of course our viewpoint St Peter’s Church. 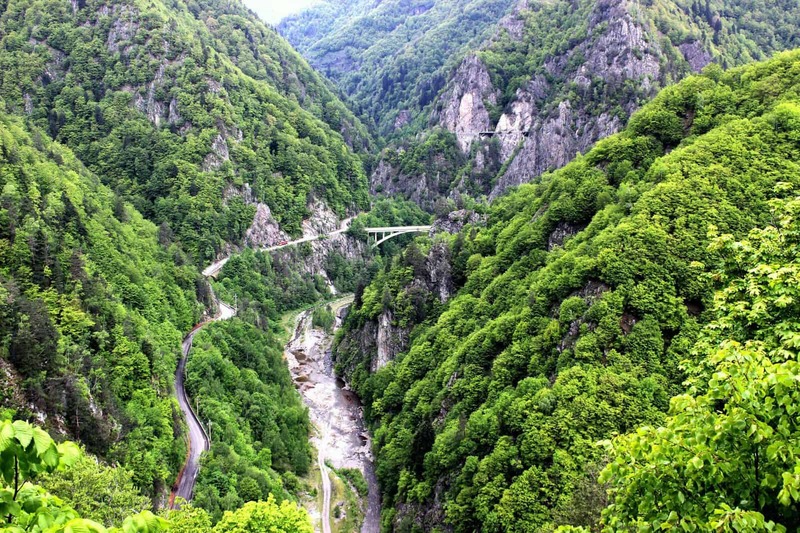 Thrust to fame when Jeremy Clarkson proclaimed the Transfagarasan road to be “The world’s best road” on the popular BBC television show Top Gear, this scenic drive crosses the Fagaras Mountains in Transylvania, Romania. Built as a strategic military route by the communist ruler of the time, Nicolae Ceaușescu, as a reaction to the Soviet invasion of Czechoslovakia. Hairpin bends cling to the side of the gorge like a grey ribbon, steadily climbing to an altitude of 2042 metres. Plan your trip well, while usually open between June and October, snow has been known to close the road well into the summer months. At the Southern end, you will find Poenari Castle which many say is the real “Dracula Castle” since Vlad the Impaler, who was the inspiration for Bram Stoker’s book Dracula, held residence in the fortress during the 15th Century. The castle can only be reached by climbing the 1480 stairs to where it sits high on a rocky outcrop above the Agres River. This viewpoint is the top of the Basel Münster (cathedral) spire, overlooking the Rhein river. Basel sits in the very corner of north-west Switzerland. The Rhein flows along the north Swiss-German border, through Basel, up along the French-German border and out to the North Sea. 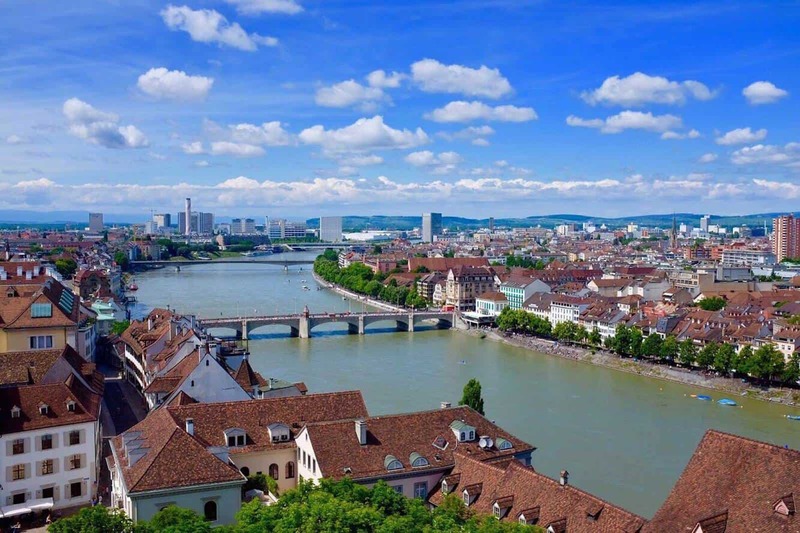 Being so far inland, Basel has long held a strategic position as a river port. The 12th-century cathedral is just one of the city highlights, and climbing the tower is one of the more budget-friendly activities you can do in the city (Switzerland being notoriously expensive). Walking around the beautifully preserved old town is another – enjoy the Rathaus (town hall), old city gates and the Rhein itself. In the summer, you can even make like the locals do and take a dip in the clean river water – just remember your waterproof bag! 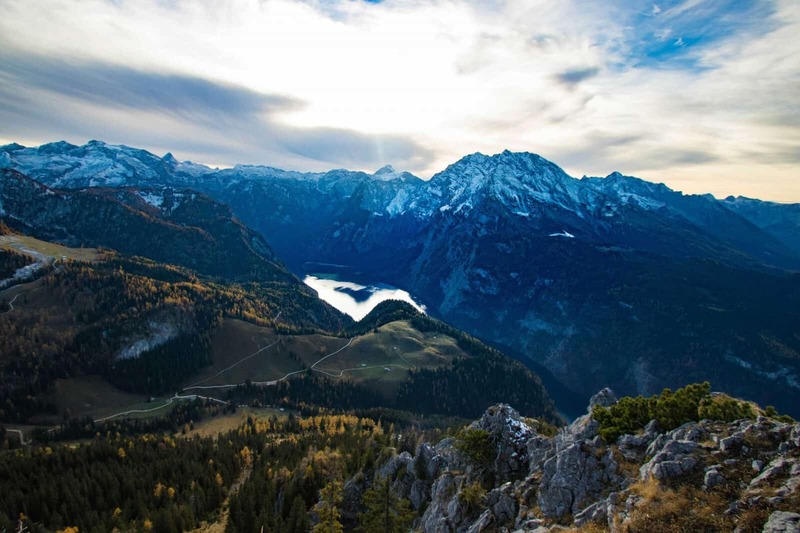 Have you ever heard of the Königsee in Berchtesgaden, Bavaria? It’s considered to be Germany’s most beautiful lake, with its steep slopes and majestic Alpine setting. But few people know the fantastic viewpoint of the lake you will discover by reaching the top of the Jenner mountain. You’ll have to take the cable car “Jennerbahn” and get down at the highest station. From there, you’ll need to hike for twenty-five minutes to reach the very summit and the astonishing view of the lake down below. The path is clearly marked and easily accessible during the summer months – but you’ll need walking shoes! In winter, snows hides away the way, and you won’t be able to reach the summit… but you can still ski on the beautiful Jenner slopes. 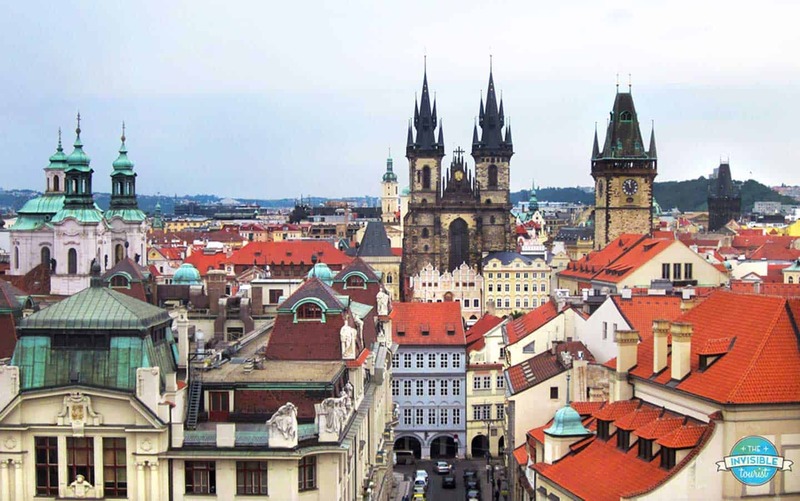 When in Prague, why not walk in the footsteps of Galileo and Kepler at the Klementinum? My travel buddy and I took a guided tour of the complex and it was so fascinating to see where these incredible astronomers worked during the 18th century. We saw the detailed astronomical instruments used during this time in the original observatory. For me, the view over the terracotta rooftops from the observatory was the highlight of my visit to Prague (after carefully climbing incredibly narrow staircases to reach the lookout towering 52 metres above the city!) It’s definitely one of the most unique viewpoints in this beautiful destination. “Suspended in Air”, never has a literal translation of a place been so fitting. Meteora is a UNESCO world heritage site located in central Greece. It’s somewhere that must be seen to be believed! 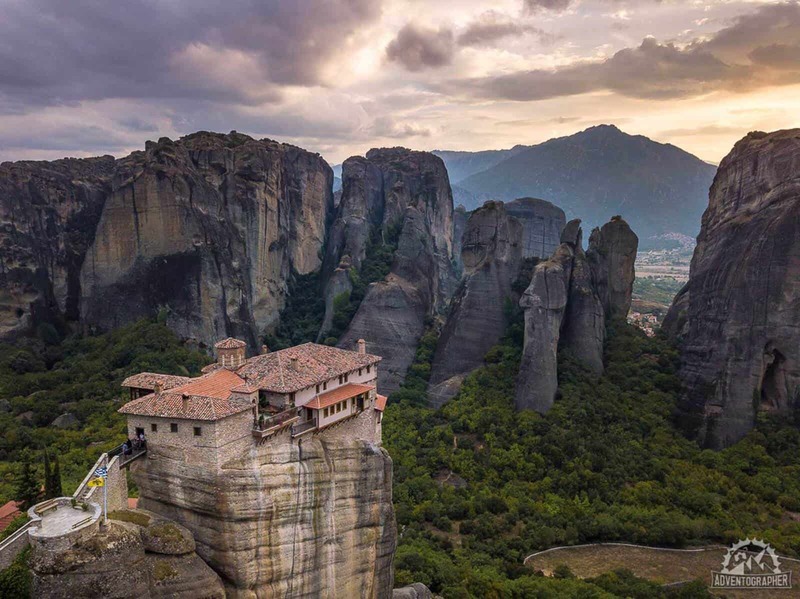 500 year old monasteries sit precariously atop towering cliffs, inaccessible. Until recently rope ladders and human powered winches were the only means of access. Built in the 13th and 14th centuries to protect the monks from byzantine and ottoman invaders. They were repurposed during the Second World War by Italian and German axis troops. A storied past and a stunning spot to take in the views! Only six of what were estimated to be 20 monasteries are still standing today. All are open to the public for a small admission fee and still house monks and nuns. You won’t risk falling to your death as the original monks did. Today, the monasteries are accessible by pathways and stairs, but be prepared for a work out! 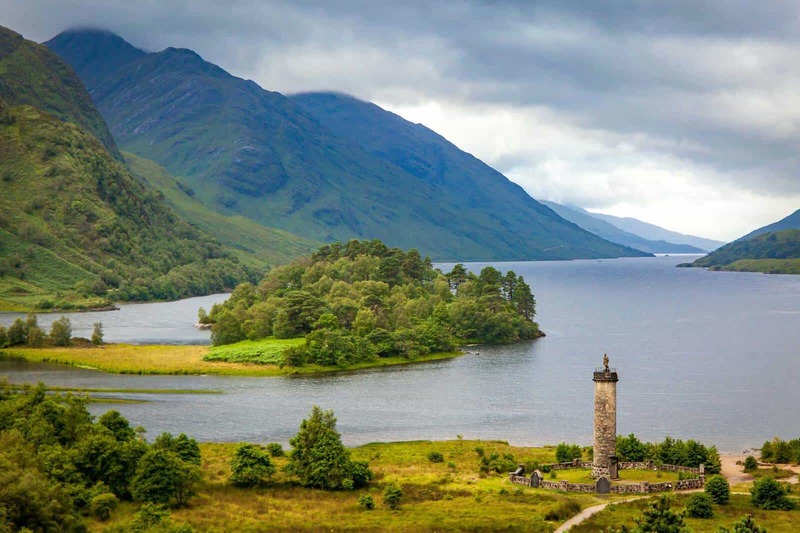 A short climb up a muddy path takes you to a great vantage point looking over the Glenfinnan monument and Lake Shiel. With the green mountains of the Scottish highlands surrounding the still waters it’s an incredible spot to stop and hike around the lake. There are a few different viewpoints and paths which take you to higher ground, each giving a different angle to the stunning blues and greens of this rugged country. Another bonus is when you turn around you are greeted by Glenfinnan viaduct, home of the Jacobite train. Made famous thanks to it’s inclusion in the Harry Potter films, try and time your visit with the few times a day the old school steam train rolls past. When I think of an epic viewpoint, I always have the same picture on my mind. 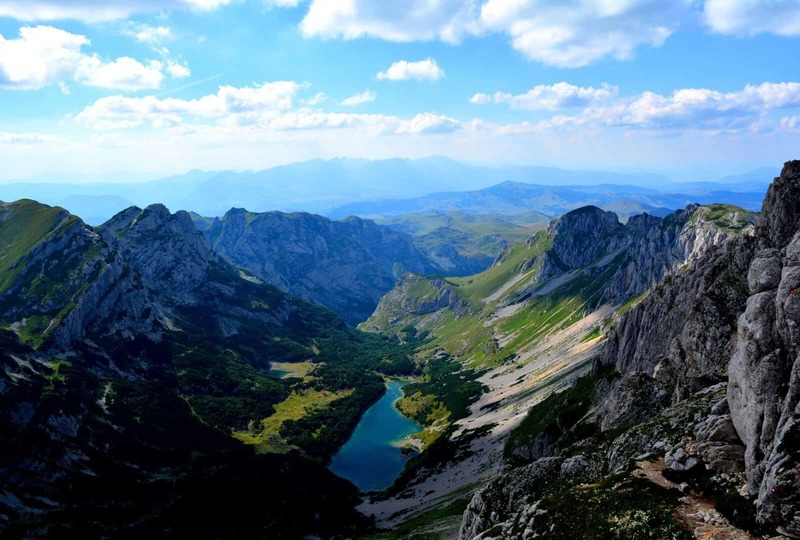 Škrćko lake is a glacier lake, a tear of the stunning mountain massive, Durmitor, in Montenegro. You’ll see this wonderful view when you reach the west side of Bobotov Kuk on your way to the highest top of Montenegro. It takes only a little bit of a courage to witness this hidden treasure. Kosovo is often overlooked by tourists in the Balkan region but it is a beautiful country with lots of appealing places to visit. This beautiful view is of the town of Peja through the Rugova Canyon. This area is brilliant for hiking and also offers activities such as ziplining and caving. No matter where you choose to start your hike as you make your way up you’ll no doubt be met by brilliant views of the canyon below. 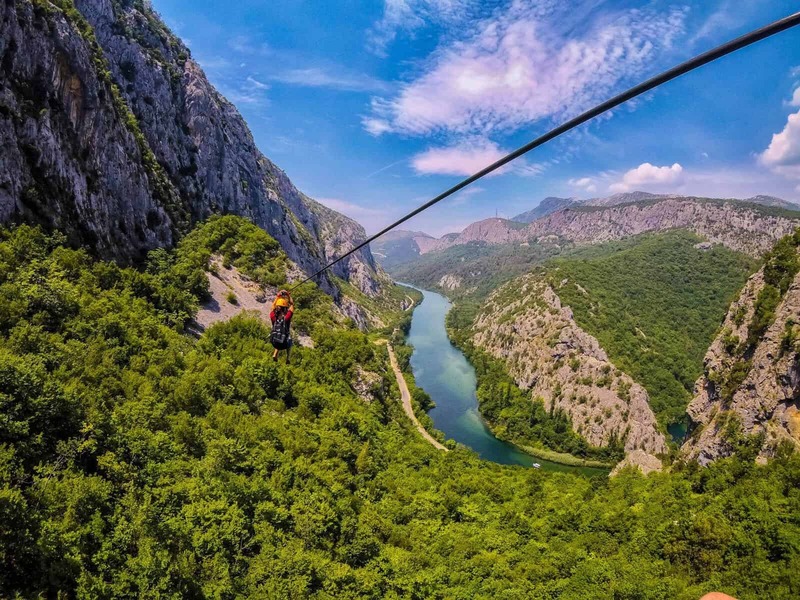 Zip lining in Omis, Croatia! More info here. The Miradoros of Lisbon, Portugal 🙂 More info here. 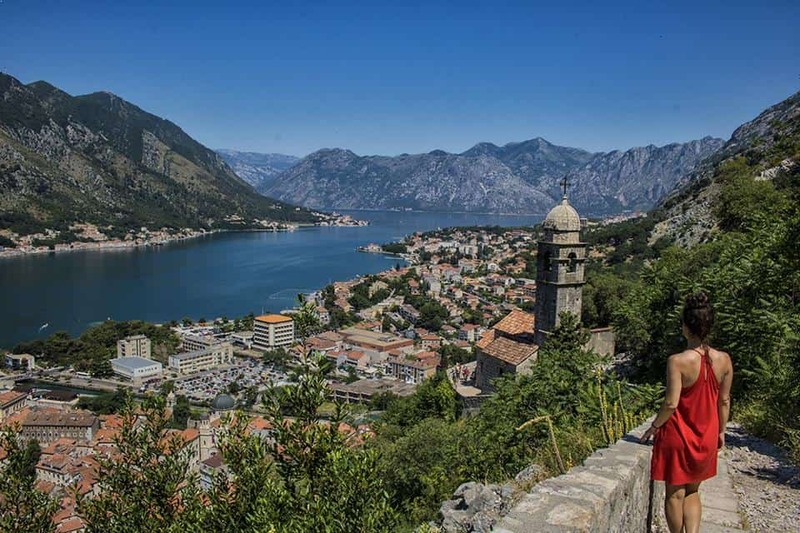 Walking up Kotor Fortress! More info here. 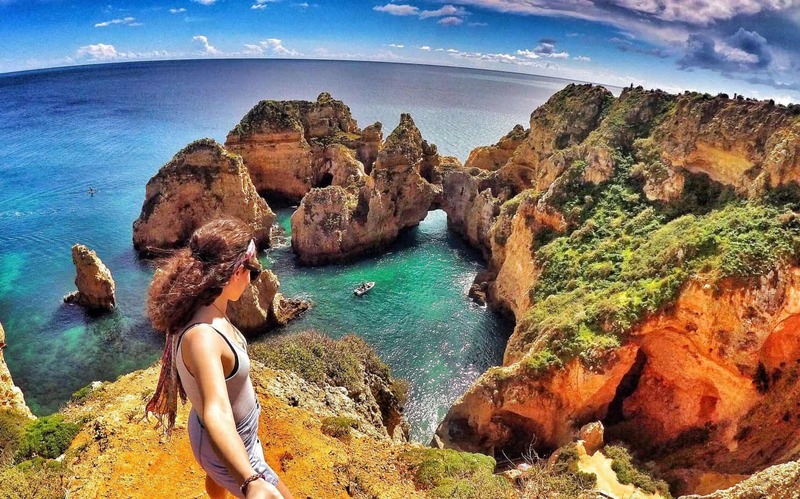 And the incredible cliffs around the Algarve in Portugal. How EPIC were these?! What’s your favorite? I’m always on the hunt for more viewpoints! Where are some of your suggestions? On the very long list. Wow! It is crazy how incredibly diverse, and gorgeous Europe is. All of the epic view articles are stunning, but this is my favorite. 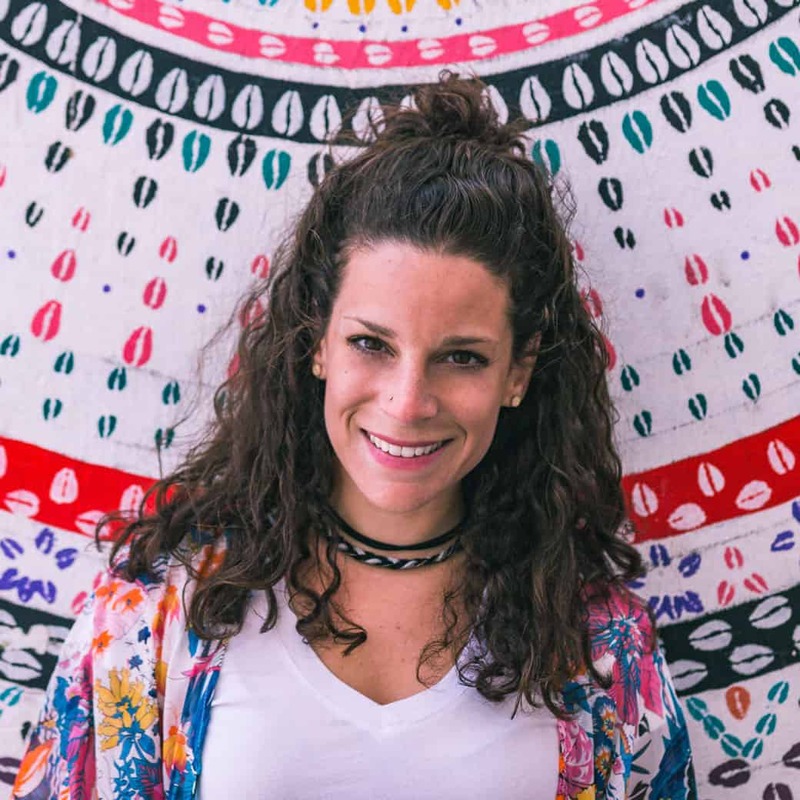 Thank you for the opportunity to be a part of such an amazing group and article! So many amazing places! Can’t wait to someday tick them all off my bucket list. Portugal is AMAZING. Thanks so much, Alyse! Great list! Some stunning photos here and a few spots just got added to my list!